The Medical Directory of Australia (MDA) is the country's leading online medical database used to search and locate doctors and health facilities nationwide. MDA Online now contains over 140,000 practitioner and facility records and counting. In this new generation format, the MDA Online is updated immediately our research team confirms the information. 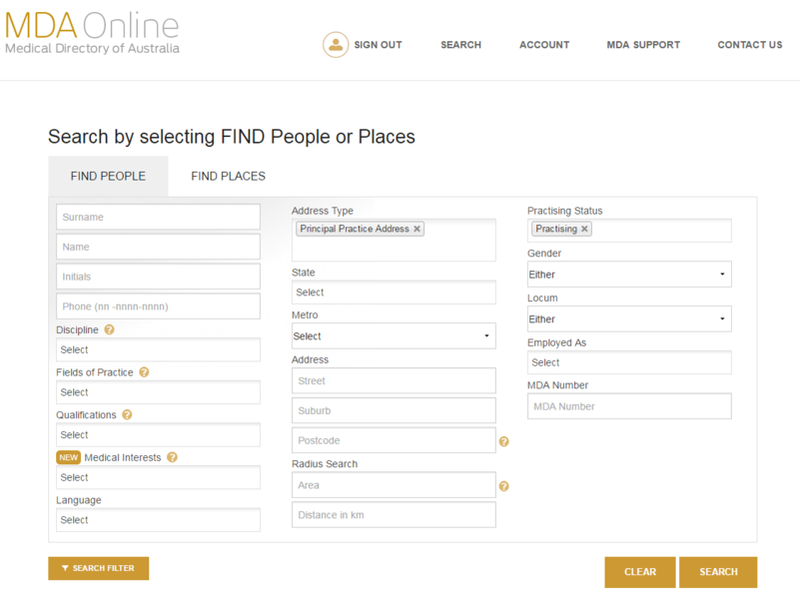 Australia’s most up-to-date medical database is now even more up-to-date and easier to use. Using MDA online will help you to find the doctor you need. You can not only search by state or suburb, you can even make sure he or she speaks the language you prefer. 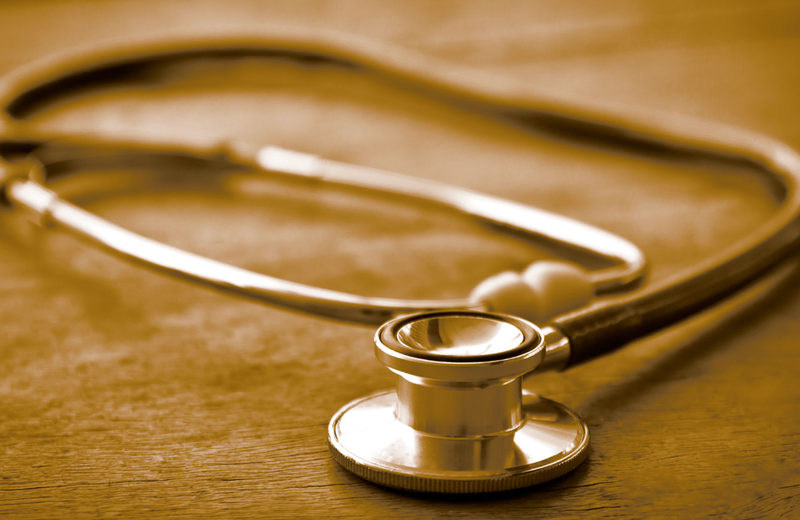 You can also find doctors by specific medical qualifications or medical interests. The clean, simple and modern user interface still provides hundreds of selection criteria to allow you to be as specific or as general as you like in your search. 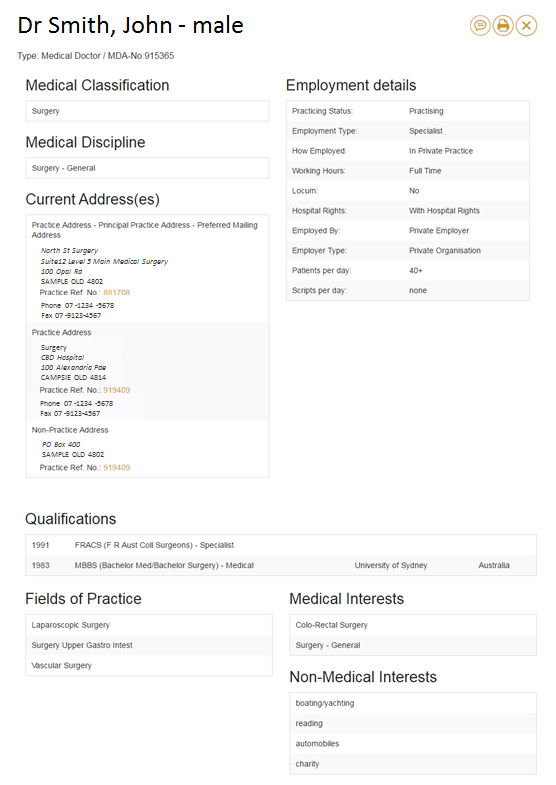 In addition to doctors you can also find allied health, pharmacies, hospitals and medical centre details. 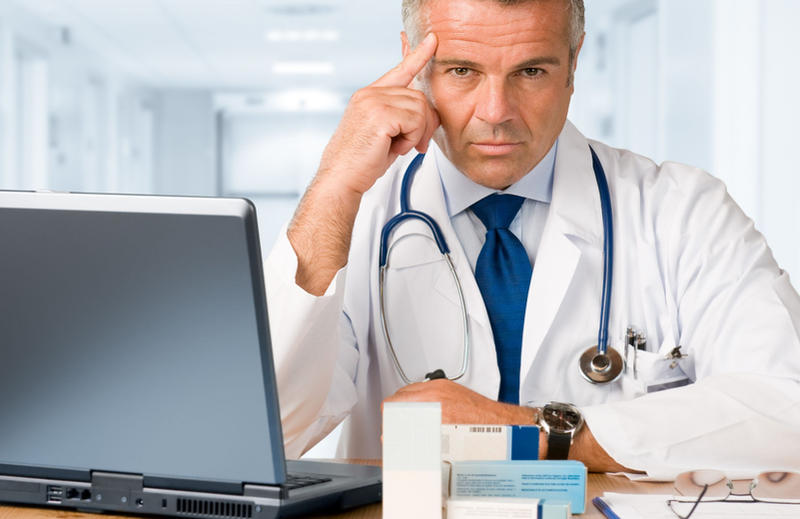 Healthcare services cannot afford to have inaccurate contact information. MDA is a carefully curated database where an experienced team has researched and qualified all data over many decades. Unlike other directories, MDA does not rely on external data sources to verify information. The Medical Directory of Australia is the only national directory endorsed by the AMA. Besides the detailed search results and the precise presentation of doctor's data, MDA online always delivers the most relevant, complete and up-to-date data. We don't just visit a doctor's website or check other directories. We contact them directly! MDA has the most complete database of healthcare professionals across the breadth of general practitioners, specialists, physiotherapists, dentists, podiatrists, pharmacists and others. Healthcare facilities include public and private hospitals, pharmacies, day hospitals, aged care facilities, mental health facilities, hospices and more. Login below to access your MDA Account. No pin number needed. For better experience access MDA Online from Chrome or Firefox. In case access from Internet Explorer is required, earlier versions to IE 11 may run with limitations.